Dinesh Kumar took over as the new Chief Secretary of the State government at 3.33 pm on Friday from his predecessor Ajay Kallam. He will be in service till September 2018. 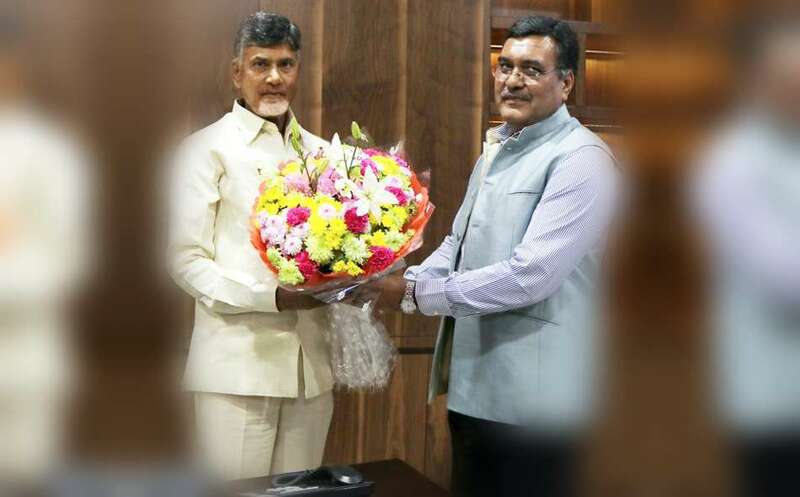 After assuming charge as the Chief Secretary, Dinesh Kumar met Chief Minister N.Chandrababu Naidu. Dinesh Kumar joined Indian Administrative Service in 1983. Earlier, he worked in the combined AP State services and held key positions like District Collector of Anantapur and Adilabad, Additional Commissioner of Revenue, Commissioner of Social Welfare, Joint Managing Director of AP Transco, Secretary of Irrigation, Chairman and Managing Director of APCPDCL, Commissioner of Disaster Management, Principal Secretary of Energy and Finance and Principal Secretary to CM.